In a future not so far way, Earth archaeologists find on a far away planet a fragment from a long lost civilization. This fragment involves an unknown operation *|*. Unlocking its secrets may lead to a breakthrough in understanding their civilization. 1982 *|* 2010 = ? Here are all the given clues and the result converted to the base-3 system. ahhh..if we only had the first one..it is so easy. ( If a *|* b = c then c = a-b-(a/b) )The second one mix everything up! let's just say they were a little more advanced and the operation is not that simple. Nice thought though, I did not see that one (just chose a small example at random). Well, here's a small hint to what the operation is. It is commutative. And a second hint to what the operation is not. It is not associative. It's not however the *|* that I had in mind (it gives a different result to the question). Nonetheless, it deserves a prize as a valid hypothesis. Perhaps a new example can re-launch the challenge? Give me a pair (a,b) and I'll compute a*|*b. (i.e. assume another tablet has been found on the planet, etc, to maintain the "cover story" ). Knew it was a little too convoluted. Would have thought it much easier to find several cases that satisfied the operation given only two data points. And tried many many different approaches. A tribute to a well thought out challenge. Will be looking for another tablet as well as continuing analyzing what we've found thus far. Adding another example to the challenge. Same operation as before. What is 1 *|* 0 ? What about 999 *|* 909? This puzzle seems very hard, at least to my limited brain . You gotta give more clues. What is 1 *|*1 and 1 *|* 2? You can use spoilers so as not to spoil it for other members. It surely doesn't fit 1 *|* 0 =2. Also your operation is clearly not commutative (a *|* b <> b *|* a) while OP mentioned *|* is commutative. Also, can you please let me know how did you come up with such a complex formula? Do you have some standard method for these kind of problems or you are using some computer algorithm? a *|* b = ( 421 + 1136* (a+b)1 + 1882* (a+b)2 + 1093* (a+b)3 + 1634* (a+b)4 + 97* (a+b)5 ) mod 2087. It is straightforward to find these coefficients using linear algebra. A new tablet may show up that shows this example to be incorrect, however, it is relatively easy to construct another example that fits the new information. I used 1390 instead of 1309 while copying your formula. Yes it does seem to work for the examples (1,0) , (10,23), (21,7)... I did not check for others. ... finite. For every linear-algebra generated function (sort of interpolation) you can think of, I am almost sure I can find a pair that doesn't satisfy it. I'm pretty confident (although I haven't tried a formal proof), that in the long run, this operation cannot be expressed with a finite formula as above. So, technically, we're pretty much down to an iterative no-cheating version of the classic game: "Tell me the number I am thinking of". You cannot win (probably, as I said, I don't have a formal proof, just a hunch) and I cannot win (since the game never ends). However, in theory, at infinity, I win. "In a future not so far way, Earth archaeologists find on a far away planet a fragment from a long lost civilization. 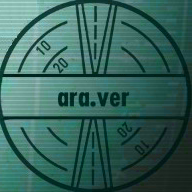 This fragment involves an unknown operation *|*. Unlocking its secrets may lead to a breakthrough in understanding their civilization. " 1) We're talking about aliens so they *might* possess different insights than humans. Disclaimer: I am not implying the fact that an alien operation is bound to be hard to grasp by humans, just that in worst-case scenarios it might be difficult to translate in human-operations. This may or may not be the case here. Just sayin'. P.S. I'm not sure how sane I am at this hour so if I don't make much sense, feel free to skip these assumptions. Other than the slightest hint possible, there's no real value / necessity in these assumptions. For any set of N clues for a *|* b, there are an infinite number of functions f(a, b) that fit the N clues. The challenge is to find one that has 'symmetry /simplicity / "beauty"'. I'm not really good at this type of problem, so I'll wait for the correct answer from the brain denizens. Nice puzzle. It's rare for a puzzle on brainden to be unsolved this long. For any set of N clues for a *|* b, there are an infinite number of functions f(a, b) that fits the N clues. You are right and also, I know that you are very good (from this and other posts you made in other topics) with linear algebra. on what the operation is not. More to the point, it should depend on the least number of (arbitrary) constants as possible. However even if the answer is not obtained on this particular path, this doesn't imply that you cannot reach it. As I know from other topics, you're also a very good programmer, so you have very good chances to approach this problem (successfully) from another angle. I believe there are more ways to approach and solve it - either from mathematical specific viewpoints or theoretical computer-science specific viewpoints. OFF-TOPIC Thank you for the (implied) compliment. I was worried at first that no one would try to solve it. Evaluate 2 *|* 1 please. This will be the final example, as I feel it's enough info already. Oh...OK. I guess I'm done. Thanks for the puzzle!